The Minecon 2018 conference has ended, which has pleased many players with new interesting news. One of the main ones is the announcement of the next update called Village & Pillage. Simply put, this update affects villages and villagers, but this is not all that can be told. All the features listed below, including many bug fixes. Best performance (important for iOS, wait for release). Undyed shulker box crafting recipe. The only bite when attacking for pandas. New skin for angry pandas. Anger spreads between the pandas. Baby pandas are protected by adult pandas. New mobs: pandas and stray cats. New plants: bamboo and scaffolding made from it. Now addon makers can add new mobs without replacing the previous ones. Phantoms no longer attack players if cats are nearby. Added animation to game loading screen. You no longer need to switch to cheats to activate some game rules. Changed the skin pack selection menu. 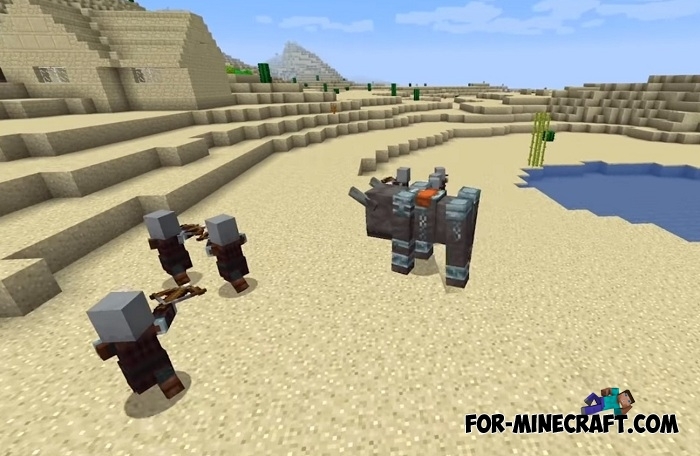 Perhaps this will be the most awaited feature of Minecraft Bedrock Edition 1.8 since the villagers are practically the only creatures that can interact with the player. Traditionally, there are several types of villagers living in their small villages. They do not do any special things, but they are always ready to trade with you. The Village & Pillage Update diversifies the entire villages and villagers system by adding a lot of cool stuff. For example, you will see many new villagers listed below as well as new structures instead of square houses. Probably there will be new villagers that will transform typical villages into densely populated settlements where everyone does a certain job and can offer the player something useful. One of the words in the title of this update is the Pillage. These are new creatures as opposed to the villagers. They are committed to robbing good people and destroying their villages. They have tamed animals with whom they become even stronger. They do not need bows, crossbows are their weapons that will appear in MCPE 1.8. This is a more dangerous weapon than a bow: although it takes longer to reload, it does more damage and is a threat to ordinary people. We will get more information after a while. 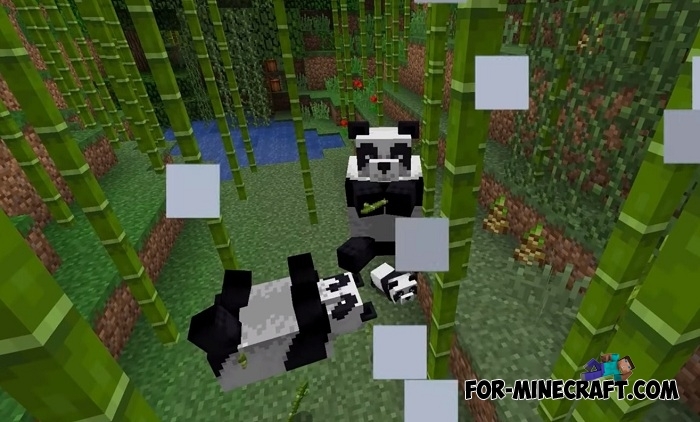 Jungle will gain new mobs, one of which will be pandas. These cute bears tumble in bamboo and most likely will not attack you like polar ones. 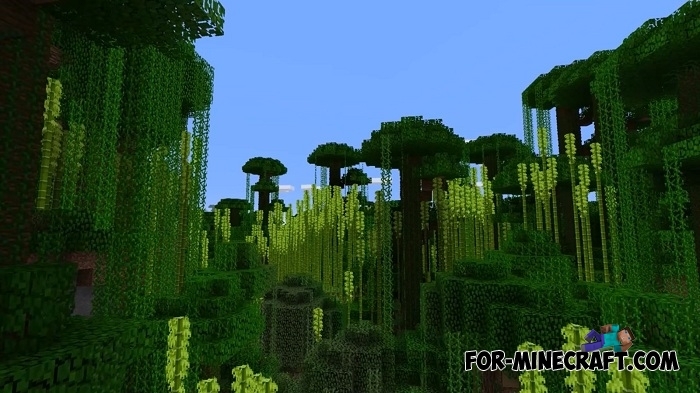 You probably already realized that Minecraft PE 1.8 will receive new building materials, including jungle blocks and plants. In addition to the visible content, Mojang took on the technical component of modding. From the moment the release of the Village & Pillage Update takes place, the game will receive new addon features. This means that add-ons will take a big step forward thanks to technical innovations. 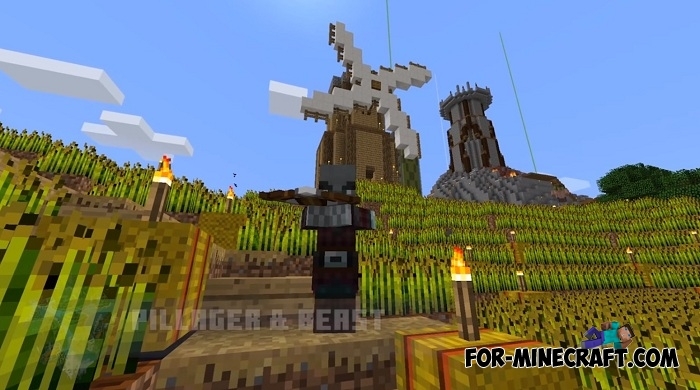 In short, add-ons will become more like the modifications available for Minecraft BE. It looks like it will be the beginning of next year, but maybe we will see Minecraft PE 1.8 already this winter on Christmas Eve. Wait for more news and check out developers twitter to keep abreast of new things. I can't go on the “Android”.